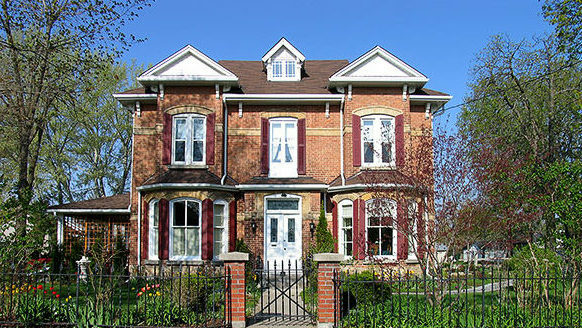 Located less then a 2 hour drive from the largest population centres of southern Ontario, the Joseph Lawrence House B & B is centrally located in the Town of Collingwood, mere minutes by car from the neighbouring towns of The Blue Mountains, including Thornbury and Meaford, and Wasaga Beach. Nearby is the Georgian Bay with summer harbour cruises and water sports. In the winter, you can visit Blue Mountain Resort with many challenging ski and in the spring, summer and fall, you can hike up the mountain to take in breath-taking views. After a busy day, you can stop in at the popular shops and restaurants in the Village at Blue Mountain. 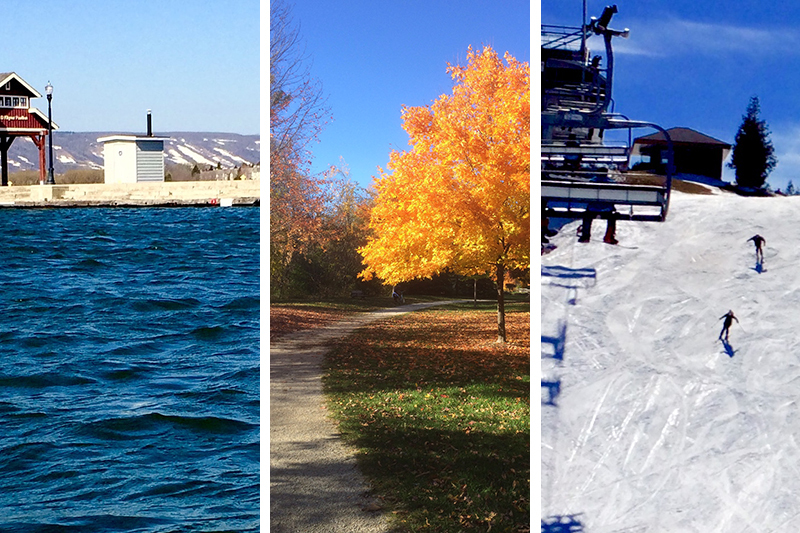 You can also explore and relax at Scenic Caves Nature Adventures, Le Scandinave Spa and the magnificent sandy beaches of the provincial park in Wasaga Beach. 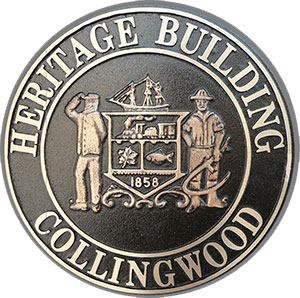 If you take a short stroll from the Joseph Lawrence House B&B up old Hurontario Street you will be in Collingwood’s Downtown with its unique mix of fine shops and fabulous restaurants amid the preserved and protected buildings of Collingwood’s Heritage Conservation District. For dinner, if you like Italian, we highly recommend Brunello’s. It is a wonderful experience and they serve excellent food in another nearby century home. Reservations recommended 705-444-8322. Guests can take advantage of a 20% discount for the baths. Ask for details at check in to Joseph Lawrence House B&B. Guests enjoy discounted rates for tribute artist dinner shows. Call 705-445-7111 for tickets and info. Guests can take advantage of a 20% discount for services.